Valencia is the third largest city in Spain and the largest port on the Mediterranean Western coast. It is a mix of some very modern buildings and beautiful old architecture. 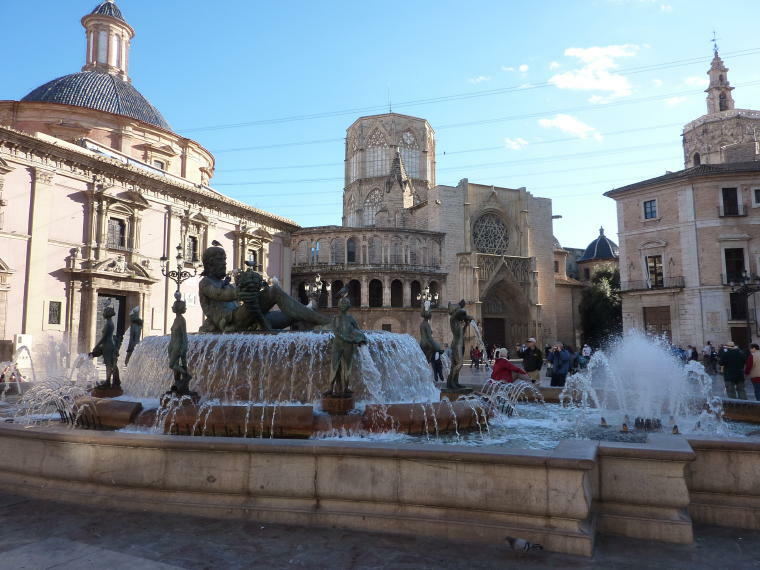 In 1957, Valencia suffered a severe flood by the Turia River with 16 feet of water in some streets. As a result, a decision was made to drain and reroute the river and it now passes around the southwestern suburbs of the city. The drained area was turned into a picturesque 4 mile park which bisects the city. It is used for sports, walking, and bicycling. The city has set up bike posts throughout the city where for a small yearly fee, people can pick up a bike in one spot and leave it at another. After a short bus tour of the city, we had a guided walking tour around the old town area. 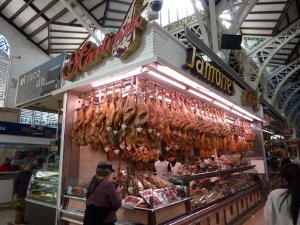 Our first stop was a huge covered market with 300 stalls selling fresh produce, meats and cheeses. We then walked through the old town with stops to admire the architecture and learn about the notable medieval landmarks located there. 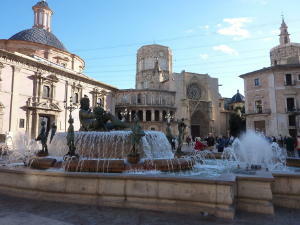 Many of the buildings have elaborate gothic or baroque designs and there are large open plazas with fountains throughout. 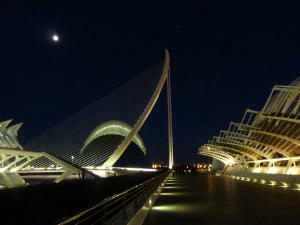 The highlight of our time in Valencia was a visit to the City of Arts & Sciences. This is a new, futuristic set of buildings that is the largest leisure and cultural complex in Europe. 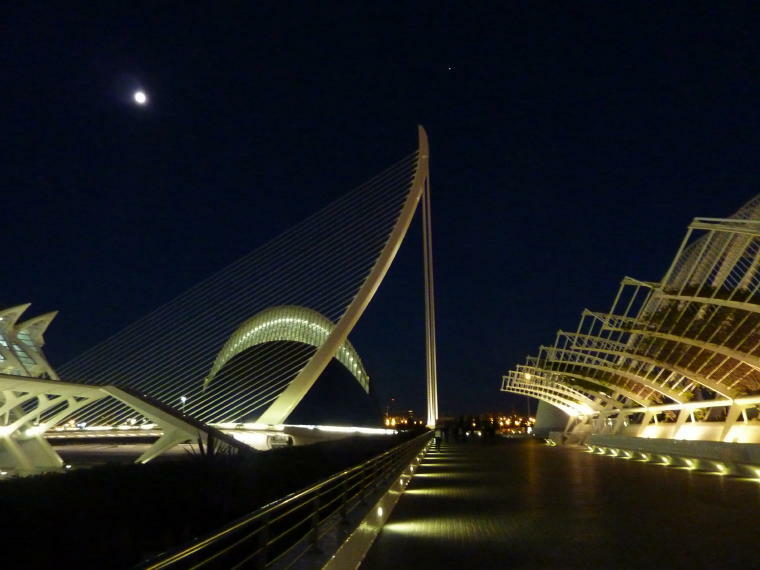 A world renowned architect from Valencia, Santiago Calatrava, produced the buildings. The six massive, contemporary buildings are located in 2 miles of the old river bed. 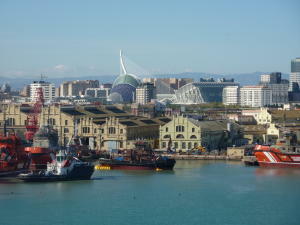 They include the Museum of Science and Technology; a covered garden promenade with spectacular views of the entire complex; the Hemisphere whose design resembles a human eye and is used for presentations on a giant screen; the Palace of Arts; a Sports Arena; and the Oceanografic which is the largest marine park in Europe. We went inside the Oceanografic which has more than 45,000 samples of 500 specimens of marine life. It focuses on the marine life of different climate zones around the world in both indoor and outdoor venues. The aquariums are designed so you walk through tunnels while sea life swims around you and overhead. The Arctic building houses two white beluga whales and three huge walruses (one male and female were trying to mate which is quite a chore!) There was also a dolphin show, much llike that seen at Sea World only with 10 dolphins in the pool at once. 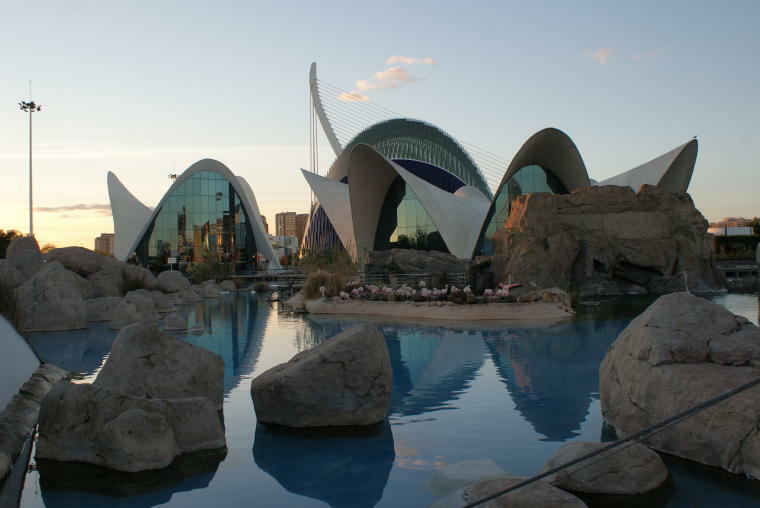 Following our visit to the marine park, we walked around the whole City of Arts & Sciences. By this time it was dark so the lights were on and a full moon rose, giving an even more spectacular view of the complex. To view more photos from Valencia, please go to Valencia Photo Gallery. 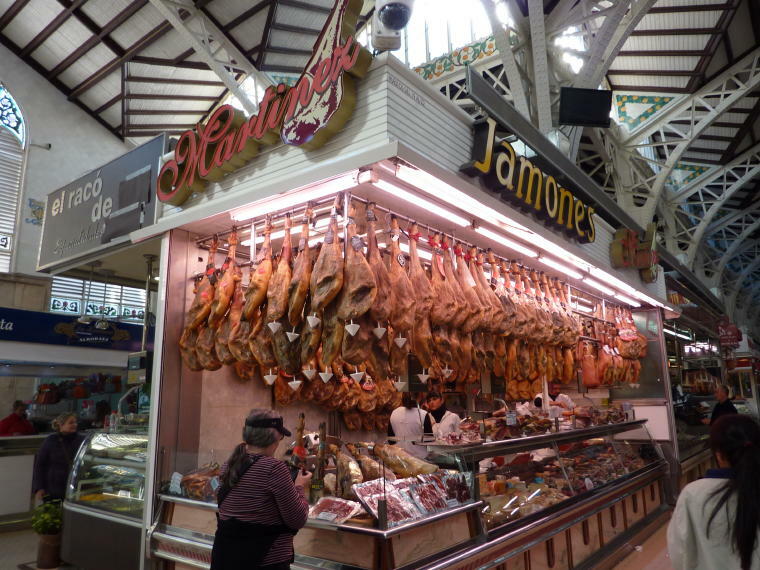 To read about the next location visited, go to Casablanca, Morocco.